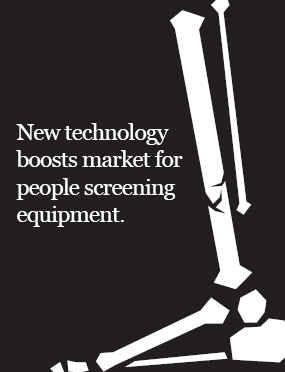 IMS Research estimates the world market for people screening equipment will reach over US$330 million by 2011. ETD portals allow for the detection of a whole range of contraband and are not just exclusive to explosives. Backscatter x-ray machines negate the need for pat-downs or strip searches by providing an on-screen image of the body, identifying the size and location of objects nestled beneath clothing. One of the promised benefits of millimeter wave technology is its ability to scan from distance making it particularly attractive in areas where human traffic is a problem for traditional screening methods. 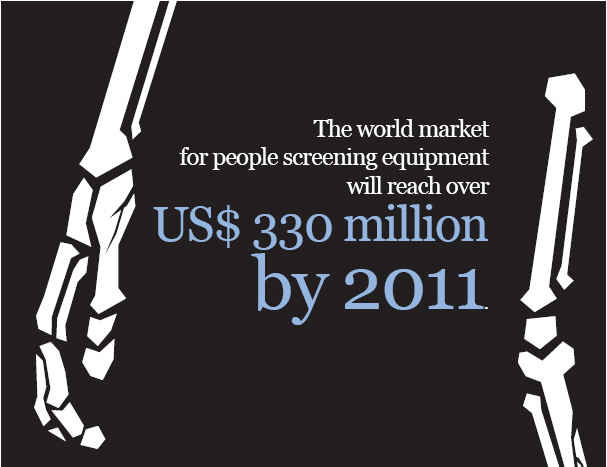 IMS Research estimates the world market for people screening equipment will reach over US$330 million by 2011. 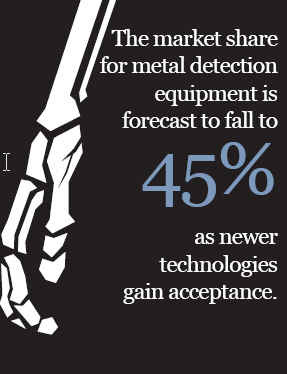 The market share for metal detection equipment is forecast to fall to 45%, as newer technologies gain acceptance.